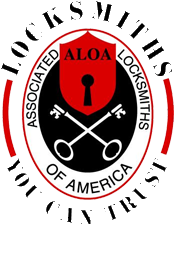 Reasonable Locksmithing is dedicated to providing the most reliable, secure, and cost-effective locksmithing services for our Peekskill LOCKS & LOCKSMITHS clients. All of our parts and labour come with a 3-month warranty and a full refund policy if you are not completely satisfied with our products or services. Moreover, we only use grade-1 certified, state-of-the-art proprietary locks and entry access systems, whether it be deadbolt locks, master keys, or biometric access controls. In addition, Reasonable Locksmithing provides locks and lock picking services for the residential, forensic, industrial, and automotive sectors of our economy. Furthermore we provide 24/7 emergency lock picking, repairs, installations, replacements, and even disposals of locking devices such as safes and vaults. In addition, we provide locks of all shapes, sizes, complexities, and varieties depending on your unique needs including car locks, gate locks, window locks, high security cylinder locks, electronic and biometric access control systems for your compound, and completely keyless entry systems. Contact us today for a free consultation and discover the Reasonable Locksmithing difference for yourself.